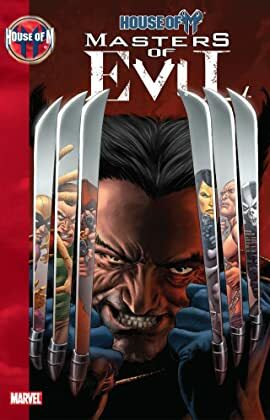 Collects House of M: Masters of Evil #1-4. You've seen how the mutants and the heroes were changed in the world ruled by Magneto...but what about the villains? Their story stands revealed at last as The Hood assembles a gang of the deadliest Sapien super-criminals: Madame Masque, The Absorbing Man, Titania, The Wrecking Crew, Nitro, Constrictor, The Sandman, Crossbones, and more! At first, their goal is simple: get rich and get away with it. 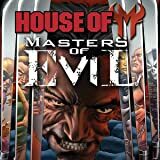 But their very first job may lead somewhere none of them expected...and incur the wrath of the House of M itself!